I know there are some that believe that birthdays are no big deal or even that they are pagan because they honor a person. In our family, we make a great big deal of birthdays, in thanksgiving to the Creator, for giving them life and blessing them (and us) with another year together. 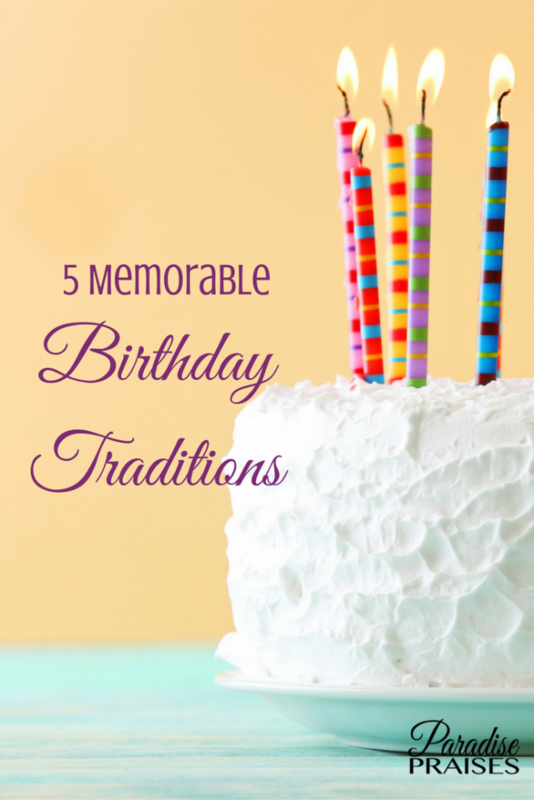 My husband's family didn't have many birthday traditions, so most of these come from my side, or from my own imagination and have become very meaningful events for our children. Each night before the big day, once the birthday child is asleep, Mom secretly tapes streamers all over the bedroom door for the child to bust through in the morning. Sometimes we also litter their bedroom floor with blown up balloons. Nothing like balloons to make a day feel festive! The birthday child would have chosen his favorite breakfast the night before, whether that be breakfast cake (coffee cake) or cinnamon rolls, or pancakes, we try to please his/her appetite on this day, serving it up on a “you are special” plate reserved just for such occasions. We have a themed birthday party up until they turn 9. 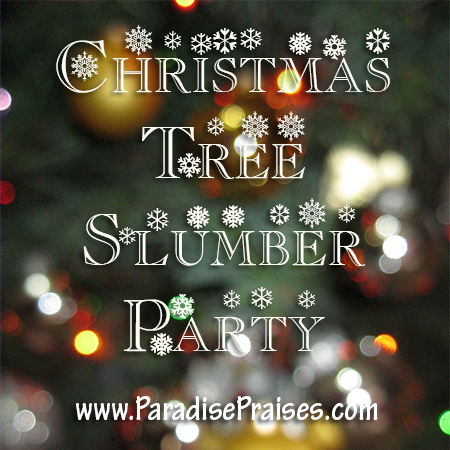 The child has helped to chose a theme and preparations have been in the making for several weeks. Whether the party is the day of, or a day close to the actual birthday, the party is always a highlight. (One of my children actually thinks that you cannot turn a year older until you eat your birthday cake at your party.) And before we eat the meal and cake, Daddy always prays a special prayer of thanksgiving and blessing for the birthday child. I try to make time each year to write each child a letter from Mom on their birthday. I list their victories for the year, the growth benchmarks, the lost teeth, the things that have made me proud this year, etc. The plan is to make the letters into a special memory book for them and give it to them when they are older. We always save the last piece of cake from the party so that the child can eat it for breakfast the next morning. A simple thing, but oh, so important to make him/her feel special. 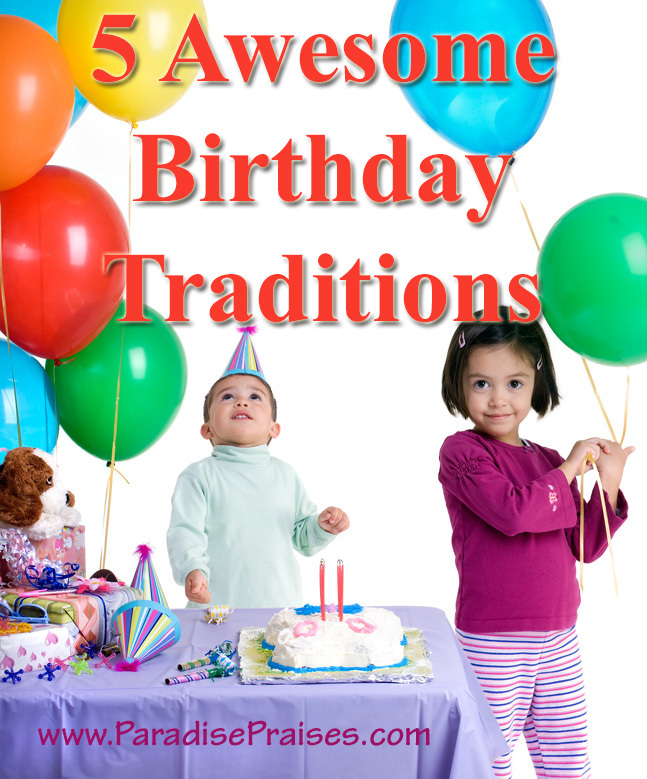 What traditions does your family have on birthdays? 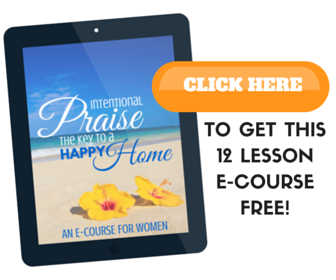 I'd love to have you share them in the comments! We did a birthday meal (main course chosen by the birthday person) and always a cake with candles. (In Europe, breakfast is light, so that wouldn’t be much of a big deal here.) I always did something special with the table setting–tablecloth, balloons, etc. And, usually, there was some kind of a plastic toy on top of the cake that they could keep later. We didn’t always invite guests, but we did have fellow missionaries come to celebrate with the kids on many occasions. We did quite a few birthday picnics, going to a special place and decorating all around where we set up our folding table.